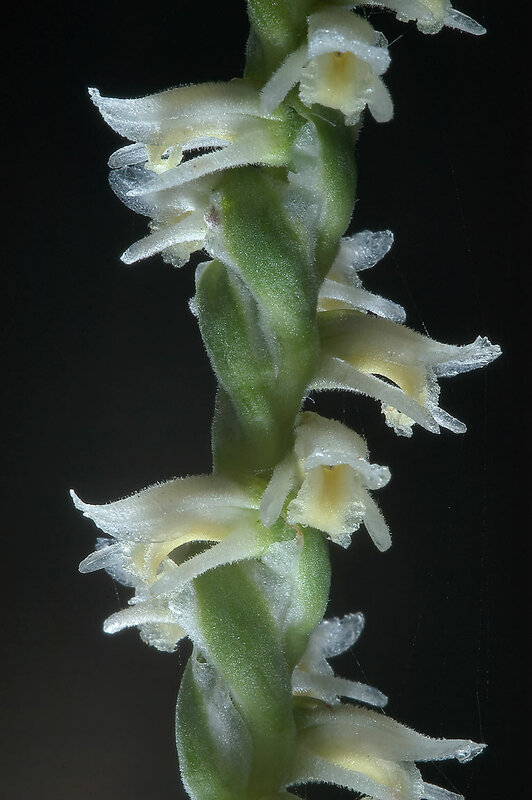 Navasota ladies’-tresses, a wild orchid native to East and Central Texas, has been listed as an endangered plant species for three decades, but two Texas A&M AgriLife Research scientists are trying to help the flower “put down roots” in years to come. Dr. Fred Smeins and Dr. Bill Rogers, both professors in the Texas A&M University ecosystem science and management department, have been awarded a $215,570 grant by The University of Texas at Austin’s Lady Bird Johnson Wildflower Center. Smeins and Rogers, who have both done extensive work on the habitat and growth of the endangered Navasota ladies’-tresses, will collaborate with Dr. Rose Wang and Dr. Bill Grant, both in the wildlife and fisheries department, on the use of computer models to identify critical areas of this wild orchid’s habitat that may be lost, and also identify regions that could be used to expand its habitat in the future. Navasota ladies’-tresses is a cream-colored flower arranged in a spiral on a thin stemmed spike. It was listed as endangered by the U.S. Fish and Wildlife Service in May 1982 and was listed as endangered by the State of Texas soon afterwards. They occur primarily along creeks, drainages and intermittent tributaries of the Brazos and Navasota rivers. Continue reading at AgriLife Today.